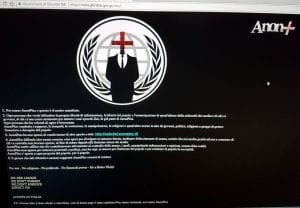 A TOP website security expert fears official data could have been compromised after the Gibraltar government website was hacked twice by infamous cyber group Anonymous. The IT expert, who works at a leading gaming company on the Rock, says the attack which led to the official website being down for three days was ‘very nerve-wracking’. “If they have a faulty process that allows someone to take over the government-controlled website, they can use the same process to hack key data stores,” the cyber professional, who asked to remain anonymous, told the Olive Press. His worries were backed up by shadow Minister for Public Finance, Roy Clinton, who confirmed he would be asking further questions in Parliament on the case. He told the Olive Press this week he has ‘concerns’ about the security of the website and how the shock attacks were able to happen. The hacktivist group is infamous for holding various international governments and terrorist groups to account. It comes after a year of financial scandal involving offshore enclaves, following the infamous Panama Papers, which exposed how many global leaders and business moguls hid their money. In the first attack, on Tuesday April 24, the website collapsed for over 12 hours. 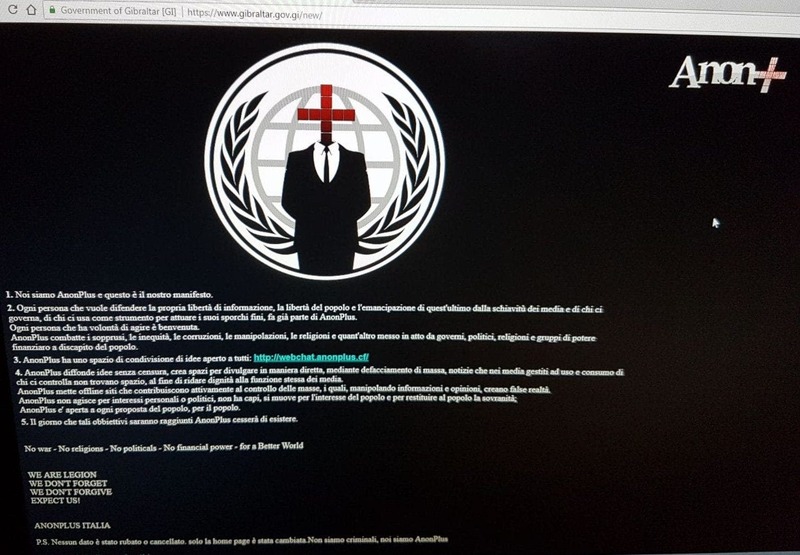 All government content was removed and replaced by the group’s AnonPlus logos and a mission statement in Italian, encouraging readers to join the organisation. 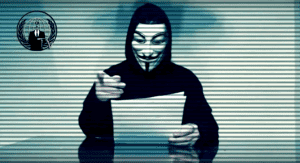 AnonPlus is believed to be a social network branch of Anonymous which targets censorship. Although the site was restored some hours later, hackers took control again, with the site remaining offline for a further two days. A government spokesperson told the Olive Press no personal data had been accessed and the website had remained offline while technicians worked on the CMS platform. 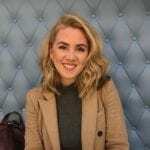 “The website is currently hosted in the UK and is totally separate to the Government Network and its systems, therefore no information or data was compromised,” she added. A new site with enhanced security measures is expected to be live before summer. “As part of the introduction of eGovernment and Digital Services, a complete review of Government security infrastructure and plans for its implementation are both well underway,” she said. The security web expert however, was not convinced. 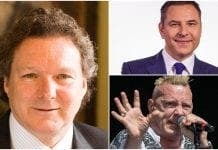 He said: “What I want to know is how on earth was a government website hacked and taken over for three days in the first place?